To say that Samsung's Exynos line of mobile chipsets is anything short of a success would be a mighty understatement. With nearly 50 million sales of Exynos chips last year, Samsung Electronics has managed to dramatically boost its share in the global smartphone application processor (AP) market, officially entering the top five in the rankings. Until presently, the company had already ranked on top in the global DRAM and NAND Flash markets, but displayed relatively weak sales in the smartphone AP market. However, the Galaxy S6 and S6 edge, in addition to other devices by Samsung and smartphone makers such as Meizu, have contributed a significant sales boost. The company shipped over 300 million smartphones last year, and the share of ones carrying in-house processors was about 15 percent. The shipment of Exynos chips reached around 50 million units last year. Samsung's achievement is made all the more impressive by the AP market's challenging conditions. The global smartphone AP market declined 4% year-over-year to reach US$20.1 billion (25 trillion KRW) in 2015, as reported by Strategy Analytics. Still, Qualcomm's market share reached 42%, maintaining its top spot, while Apple and MediaTek ranked number two and three with 21% and 19% shares, respectively. Samsung LSI came in fourth, and Taiwan's Spreadtrum fifth. Yayy, Samsung beat spreadtrum! And this year, due to their s**tty overheating mess of an SoC(also known as 88-90 degrees), spreadtrum will beat them again. Also the new Exynos 7580 present in A5 & A7 is not that good in performance and even inferior to S615. This year samsung exynos failed. It is a mid-ranged set of phones. Maybe they are meant to compete with the SD615, like you think they should. Every chip isn't about beating the competition. Its about providing a solution based on the phones capabilities. The 7580 is a mid range Chip which only contains cortex-A53 cores only. There is 8 cores, however it is missing the A57 cores, or in other words the high end cores. Also the 7580 is using 20 nm. Where as the 7420 is based on 14 nm, and contains 4 cortex-A57 cores and 4 cortex-A53 cores. The 7420 is in the Galaxy S6/edge and Note series. 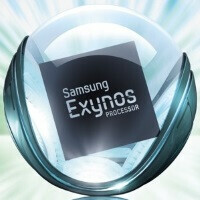 Exynos 7580 is more powerful in CPU benchmarks then SD615 and they are on par with GPU benchmarks. I have A5 with Exynos 7580 and it flies in UI. Games lag however due to weak GPU. GPU:https://gfxbench.com/compare.jsp?benchmark=gfxgen&did1=27781965&os1=Android&api1=gl&hwtype1=GPU&hwname1=ARM+Mali-T720&D2=Samsung+Galaxy+A5+%28Adreno+405%2C+SM-A5100%29 CPU: Exynos 7580:http://browser.primatelabs.com/geekbench3/5452079 SD 615:http://browser.primatelabs.com/geekbench3/5351909 Btw Exynos 7580 is built on 20nm while SD615 is built on 28nm node. You do know that the 7580 is midvrange, right. The 7580 is a octa core Chip, but contains only cortex-A53 cores. The 7420 is 14nm and is a much faster chip, since it contains 4 A57 cores. At least, I understood that! Am I crazy, or didn't Qualcomm tag Samsung to handle the manufacturing of the 820? Under whose umbrella would sales of that fall? Those sales would be for Qualcomm, but Samsung wins either way because they make money from both. Even though Samsung is actually manufacturing the physical chips, the chip design is owned by Qualcomm, and likely means the majority of the profits are Qualcomm's as well. Samsung doesn't sell Qualcomm's chips, they just manufacture them. Let's see on next year.